The Hruska Clinic™ is a unique Physical Therapy clinic that offers physical therapy services that are based on the philosophic and integrative concepts of the Postural Restoration Institute® (PRI). The clinic was founded and directed by Ron Hruska in 1999 and has grown into the multidisciplinary center that it currently is. The science and techniques taught through the Postural Restoration Institute® were first developed for clinical care here at the Hruska Clinic™. The clinic is still dedicated to growing and learning about the patterned neuro-biological human being. Our staff is made up of 5 full time therapists along with the founder of the clinic, Ron Hruska, who works primarily as a consulting therapist. All of our therapists are passionate about and committed to addressing functional limitations through the assessment of neuromuscular patterns and treatment using PRI application, and interdisciplinary integration when necessary. The Hruska Clinic™ was the nation's first clinic to be a Postural Restoration Certified™ Center as certified by The Postural Restoration Institute®. To read more about our staff cllick here. Along with being experts in the application of Postural Restoration® techniques and progresion the staff is dedicated to maximizing patient outcomes in difficult cases through multidiscplinary care as case managers in the PRIME (Postural Restoration Integrated Multidisciplinary Engagement™) Program. To read more about the PRIME program and how we integrate with other professionals click here. The staff is also passionate about teaching other health professionals on the clinical application of concepts and techniques taught through the Postural Restoration Institute®. To learm more about our mentorship program click here. If you are interested in consulting with a Hruska Clinic™ Physical therapist or need a patient triage form to send to a clinic therapist click here. 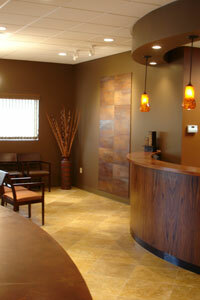 If you are a patient interested in more information about our clinic click here. For admission paperwork click here.